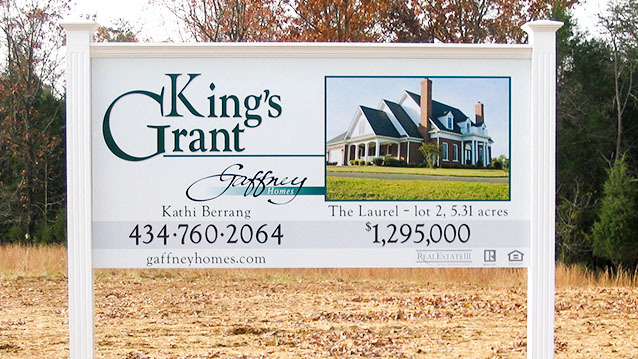 Site Signs - Hightech Signs, Inc.
We work with the top real estate developers in Virginia to provide informative, compliant signage. 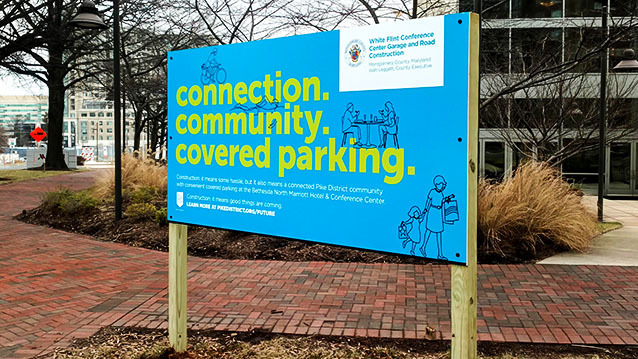 The staff at Hightech Signs in Charlottesville provides design and installation services for commercial and residential site signs. 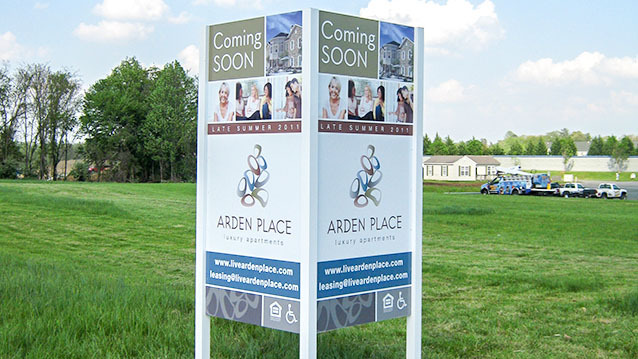 Sites signs used to identify commercial or residential development should be well-designed and properly installed. 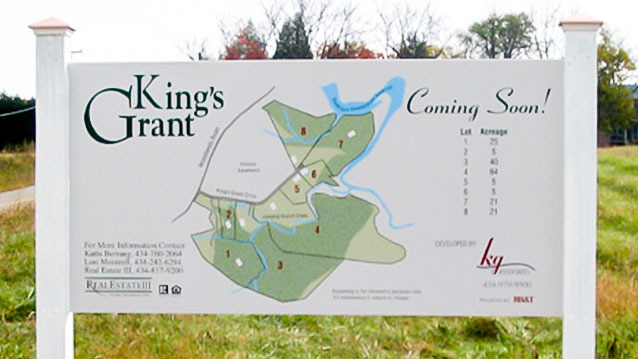 Signs can include a site plan for the proposed development, lot numbers or a rendering of the development with price ranges.